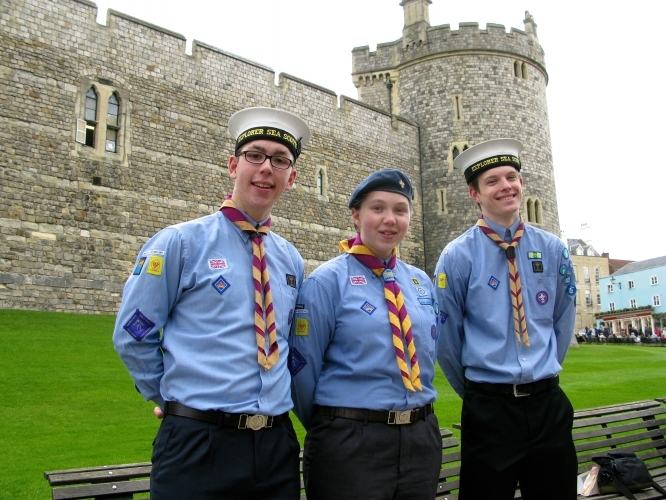 The Queen’s Scout Award is the highest training award available to a Young Person within Scouting. 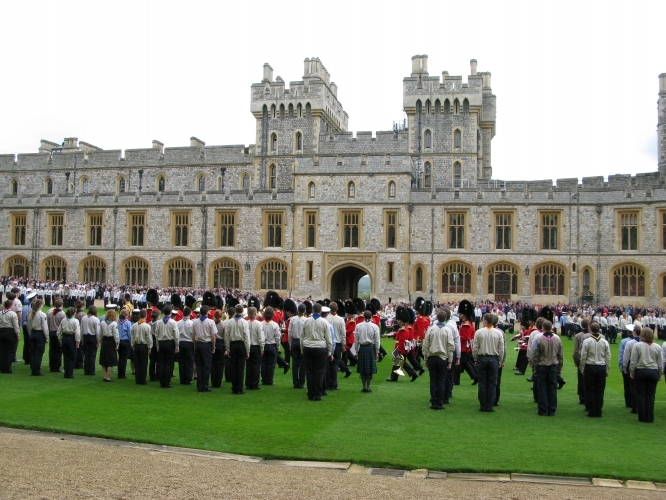 To achieve the award the Young Person has to gain the Duke of Edinburgh’s Gold Award, then complete further Scouting items. 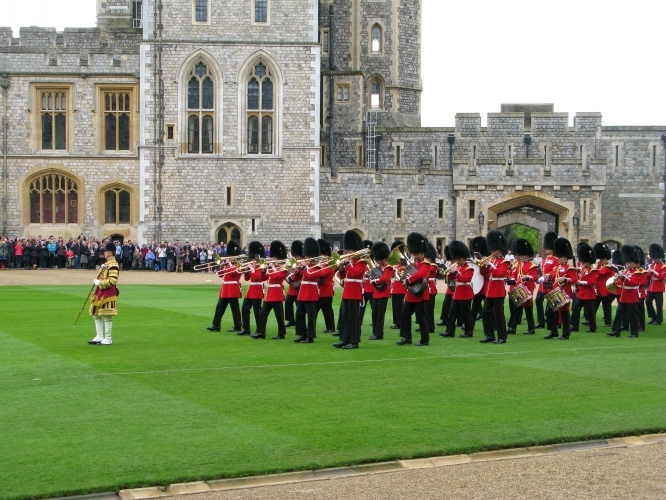 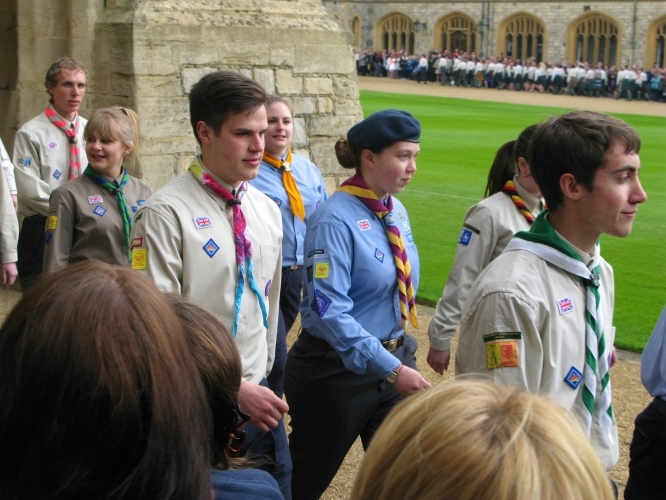 One of our Young Leaders, Maria Belton recently completed the award and is seen here at the annual St George’s Day parade at Windsor castle which is open only to those who completed the award within the last year. 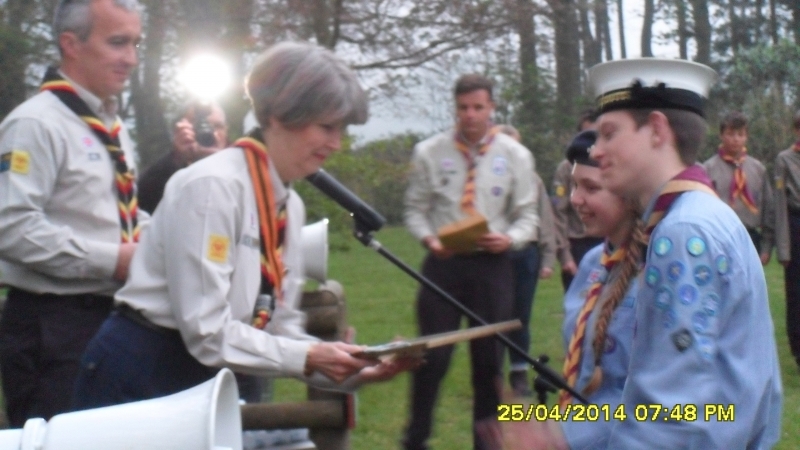 To put this award into context it is the first time that a member of 1st Carlton Colville Air Scouts has won it in at least 17 years.